Don’t you think the colder months are just oh-so-cozy? We do! 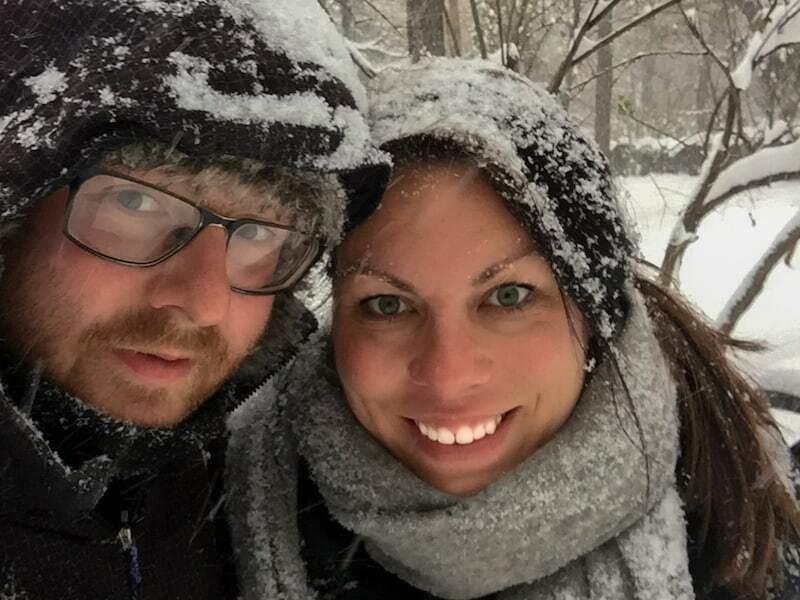 Nathan & I find that the romantic falling snow (plus fewer crowds) create the best winter vacations for couples. Perhaps it’s the need to draw closer to someone for warmth which makes winter the perfect season for cuddling and falling in love. And if you’ve just gotten married, a winter honeymoon is going to be super romantic (for inspiration, see these November honeymoon destinations which would be lovely throughout the winter months). 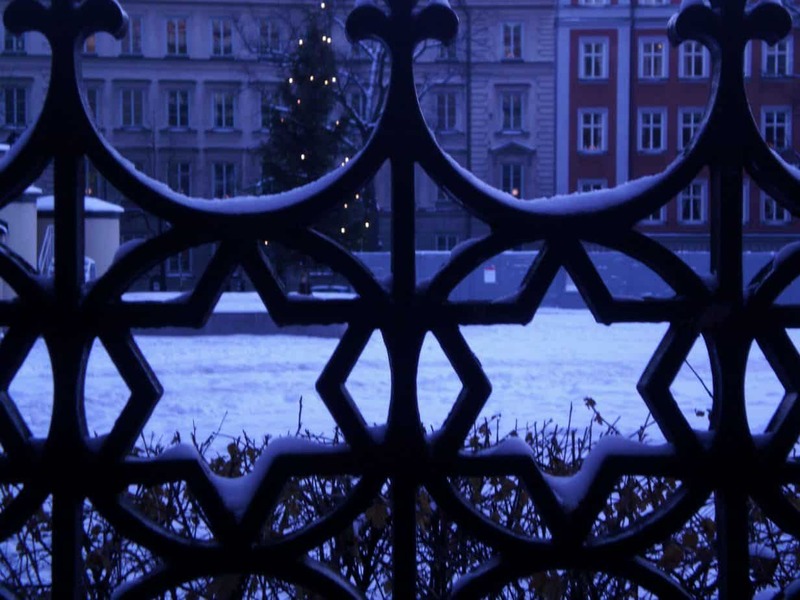 Well, it turns out that Copenhagen in winter is a romantic Christmas dream! 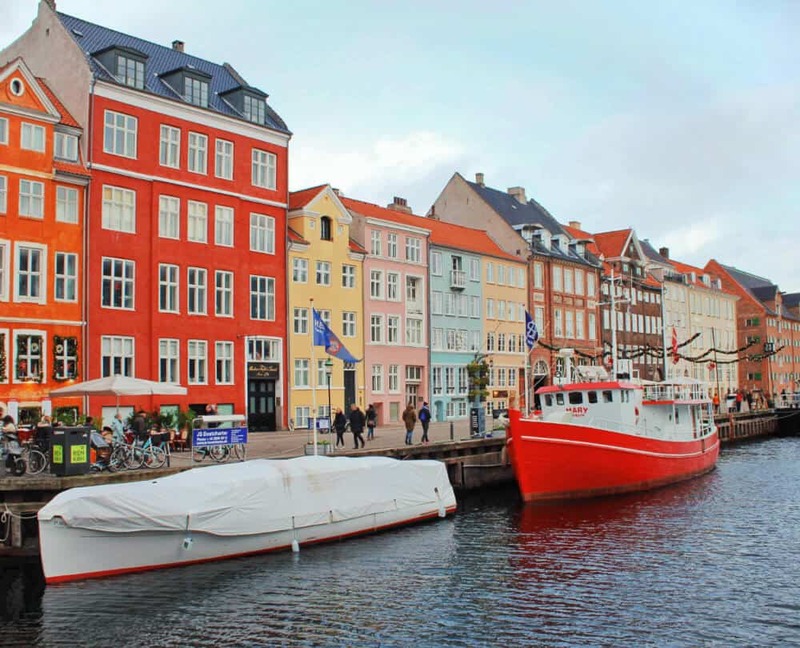 There are the canals of Nyhavn dotted with colorful tall, thin houses, adorned with wreaths and pine boughs. A Christmas Market around every corner, wafting the tantalizing smells of gløgg and sizzling bratwurst and fluffy aebleskiver. Hygge floating around giving imaginary air-hugs in droves. From stunning Tivoli Gardens, which gussies itself up with Christmas cheer in the winter, to scenic Kongens Nytorv, every corner of Copenhagen is romantic and charming. You and your boo can wander hand in gloved hand through cobblestone streets drinking coffee and gløgg like two lovebirds in a winter wonderland. 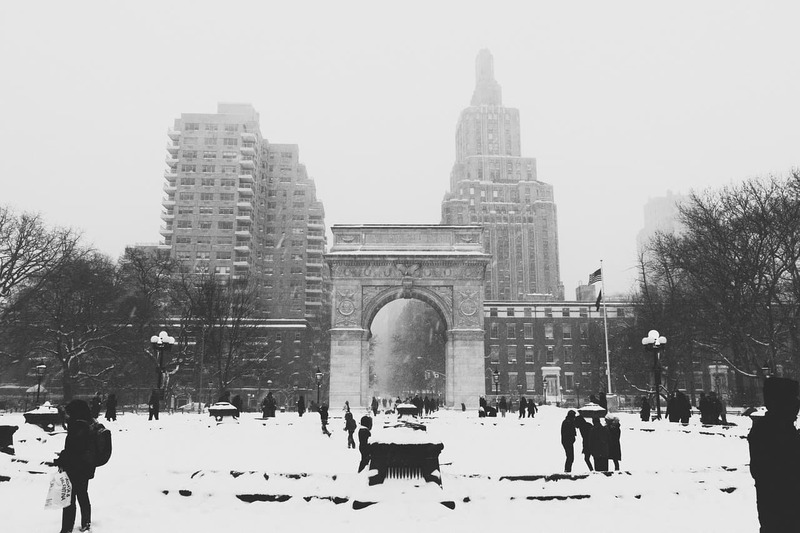 Some of the best ways to experience romantic NYC are free, like walking up and down the streets laced with pine garland and twinkling lights, or strolling through Central Park hand in hand while fresh snow is falling. Another winter date favorite is ice skating. There are beautiful rinks in Central Park and Bryant Park, or you can even skate in the rink right underneath the famous Rockefeller tree! Once you’ve had enough of the cold, duck inside one of the countless cozy bars or restaurants. Many stoke roaring fires or serve mulled wine and cider throughout the winter, and are perfect romantic date spots. 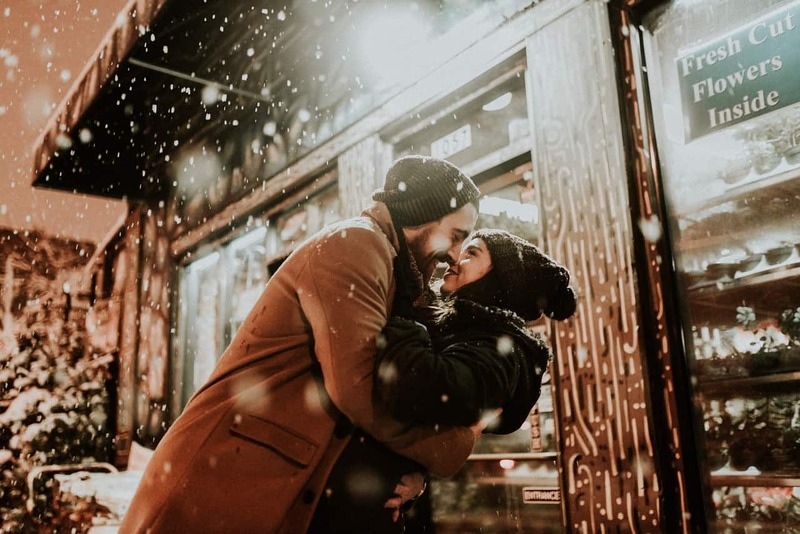 It’s impossible not to get caught up in the festive cheer and good vibes of New York around the holidays – the perfect spot for winter romance! -Sam and Veren (Alternative Travelers) are two New Yorkers now living in Madrid, Spain. Kashmir is known as ‘heaven on earth’ and probably ‘switzerland of India’ and its capital Srinagar is no exception. Srinagar offers incredible panoramic views with snow clad mountains everywhere you go. 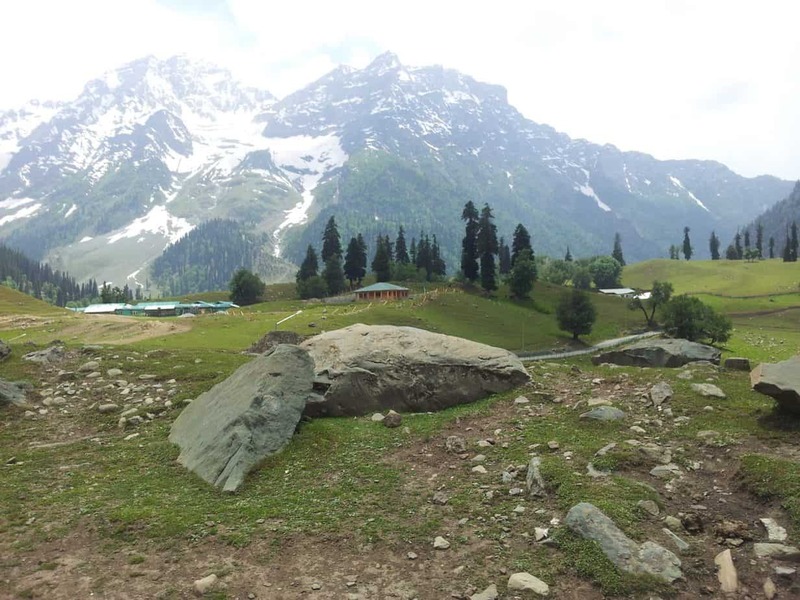 You can visit Srinagar during any season; it filled with flowers, luscious apple orchards, walnut trees in spring and snow in winter, it can provide much to be excited about for couples. It has been the honeymoon destination since decades. Here’s an itinerary to explore Kashmir in a week. Sitting on the banks of the river Jhelum it provides a variety of options for things to do in Srinagar. A stay on the exquisitely carved, wooden Gurkha Houseboats is a must to kick start your romantic Kashmir holiday with the backdrop of stunning vistas. You can hire a Shikara and take a ride on the whimsical Shikaras; watching the mesmerizing sunset at Dal lake is a once in a lifetime experience together. Srinagar wears a blanket of snow in winter. You can go water skiing on Dal or Nagin Lake or visit nearby Gulmarg to enjoy the snow with your better half. If you are visiting it in spring season, walk through the beautiful Tulip Garderns- Mughal gardens is a must. Taking a day out for a picnic with your partner sounds uber romantic. You can also visit the old city monuments like the Hazratbal Shrine, Jama Masjid and the Shankaracharya temple. You will be mesmerised by what it has to offer. Stockholm is an unquestionably beautiful city. Its graceful buildings fan out across 14 islands, yet the Swedish capital is surprisingly easy to get around. During winter, when the streets glitter with frost and sunlight is in short supply, Stockholm transforms into a romantic wonderland. Kungsträdgården, an ice rink in the heart of the city, is the place to go for skating under the stars. 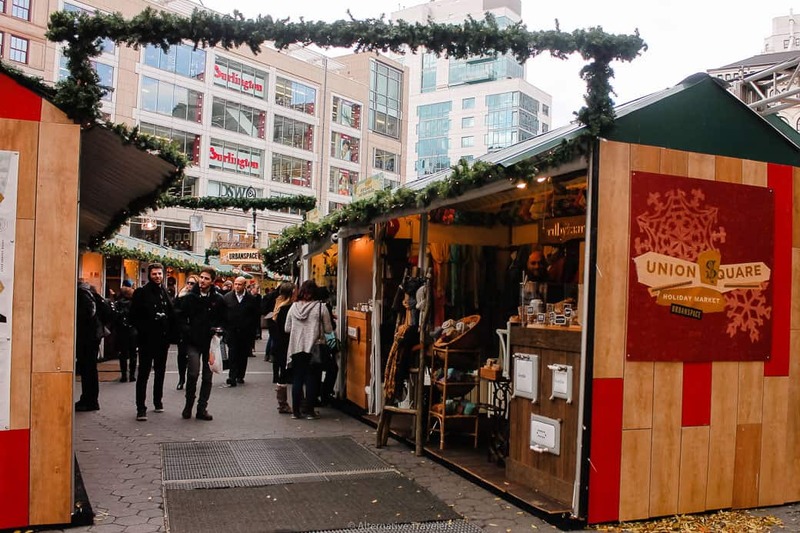 Christmas markets pop up all over the city, selling local handicrafts and Swedish treats. The market in Gamla Stan (Stockholm’s Old Town) is the best-known and the most traditional of the markets. Stroll through its maze of red stalls and twinkling lights with a cup of mulled wine to keep you warm. Opportunities for romantic strolls are everywhere in Stockholm, but Monteliusvägen is one of the loveliest. This 500-meter walking trail has views out over Lake Mälaren, which freezes during winter. If you need to warm up afterward, head to Centralbadet – an Art Nouveau spa with extensive facilities. There’s a pool, roman bath and sauna, and a tempting range of treatments to choose from. 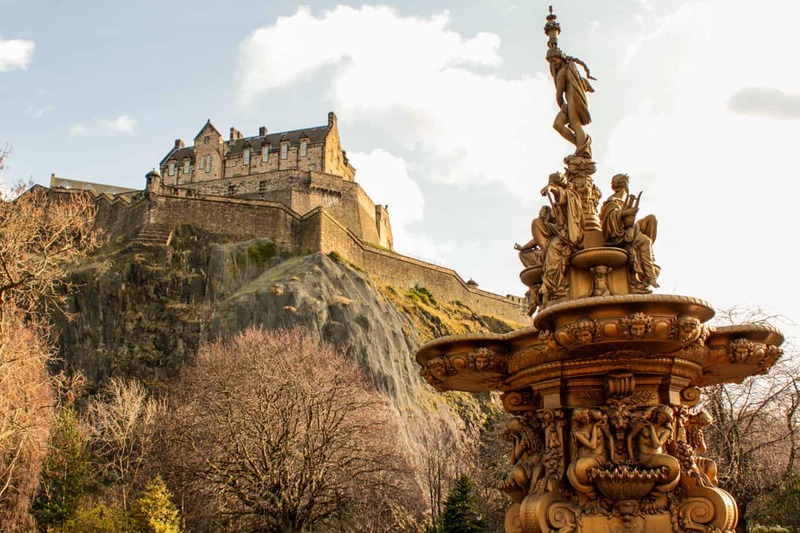 Ok, so maybe I am slightly biased but, in all honesty, I can’t imagine a more romantic place in the world over the winter period than Edinburgh. The city is quaint and gorgeous at the best of times but those charms are tenfold when the days get shorter. The centre of all the attention, though, is Princes Street. The popular shopping street is turned into a legitimate winter wonderland with ice skating, fairground rides and, of course, more mulled wine. It’s the Christmas that you always fantasised but with a grown-up touch. If the weather’s a bit drizzly, then make your way to The Dome and thaw out your bones with one of their winter cocktails. This swanky George Street Restaurant is renowned for having the best Christmas lights in the city and is the perfect date spot. To end your night, head along the road to Tigerlily, the city’s favourite boutique hotel which is the perfect accommodation choice for a romantic winter city break. 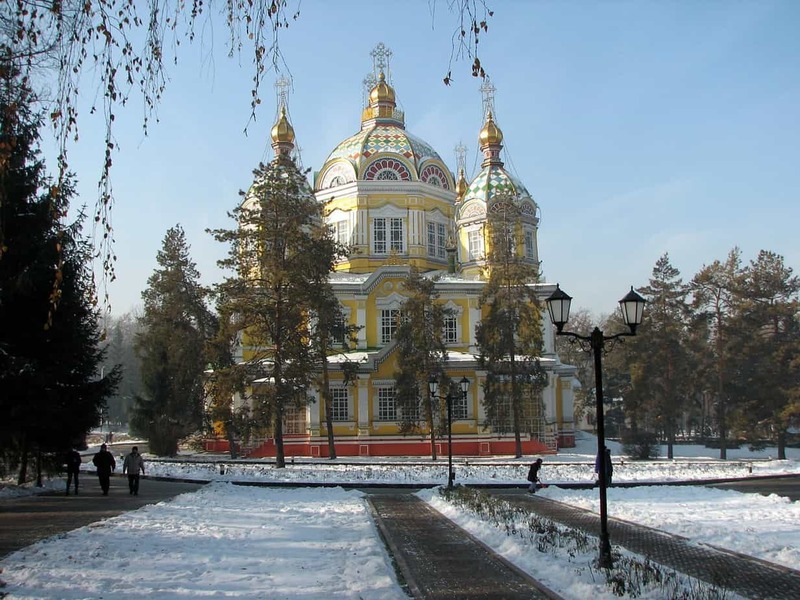 While many people don’t put Almaty, Kazakhstan at the top of their list for romantic, winter destinations, it definitely is the first thing that comes to my mind for such. Last winter, I was living in Almaty and really missing my partner back in Germany. He came to visit me mid-November for a couple of weeks and as I sat in the airport overnight awaiting his arrival (yes, I was that excited! ), the first major snowfall of the season started to take place. And it came, and it came, and it came. As it turns out, we were getting pummeled by a major blizzard! He arrived on time, and we trekked through several feet of snow to the apartment we had rented. Every day, we froze our tails off as I showed him around Almaty, my ‘temporary’ home, and we spent the evenings going on dinner dates, something we had missed so much while I was away. Everything about his trip to visit me was romantic and splendid. I have been to Almaty a couple of times and when I think about the city, I don’t think about everyday annoyances or my favorite coffee spot, I think about my time there with him and how the snow and peacefulness of the city make me associate the place with romance. It’s easy to see why Budapest, which often is used as a setting to portray Paris in Hollywood movies, is one of Europe’s most romantic cities. A wander along the historic Danube bank at sunset, before getting lost in the cobbled streets on Castle Hill, makes the perfect backdrop for any love story. But everything gets even better in Winter when the city gets under a snow blanket and places like its thermal baths are chosen by couples and lovers to spend some time with their significant others. Can you imagine something more romantic than enjoying a warm bath outdoors at the well-known Szechenyi baths surrounded by snow or – even more idyllic – while it is snowing? I can definitely think of lots of romantic ideas but this one is difficult to beat. 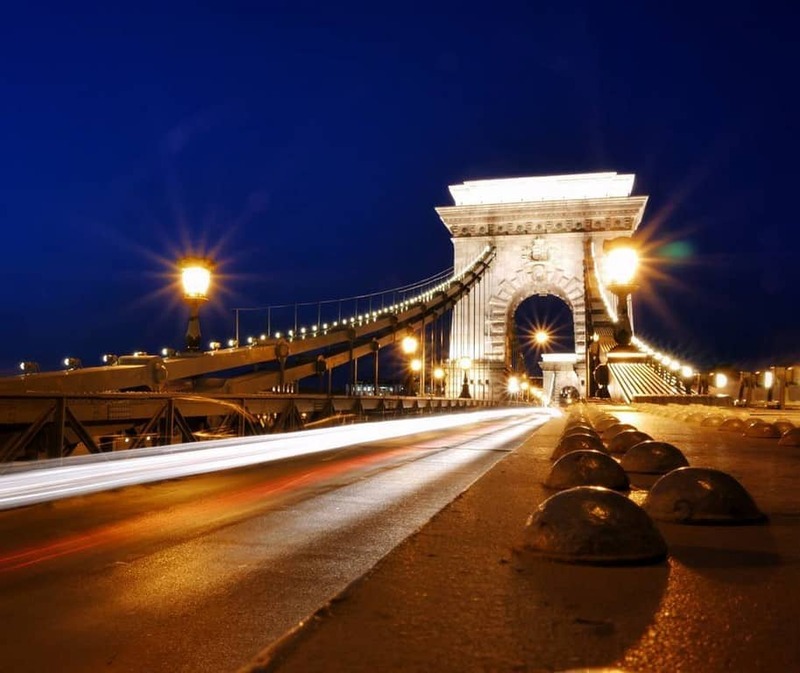 Here are a few other cool plans to enjoy in Budapest for a great long weekend in the city. Jökulsárlón glacier lagoon is one of the main attractions in Iceland, far away from the busy Reykjavik. 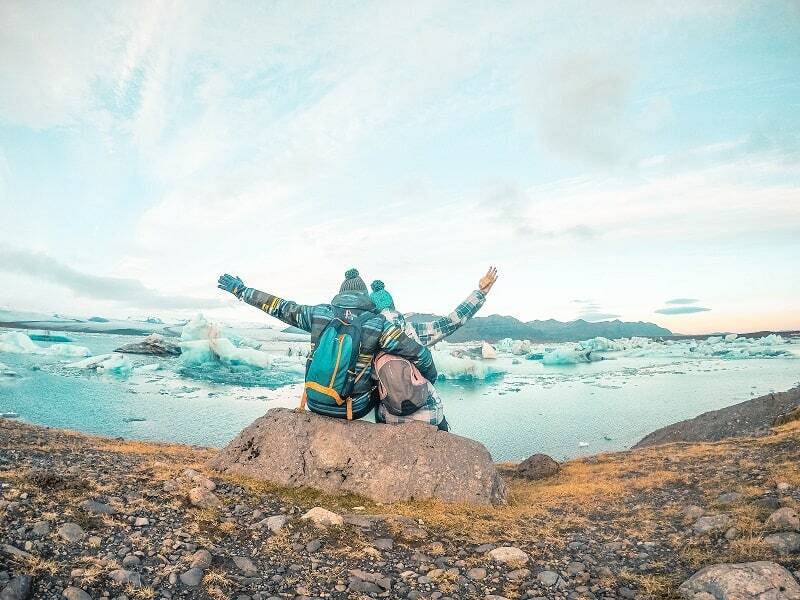 Although you will need two days to get to Jökulsárlón and back to the capital city, the glacier lagoon is my favorite romantic destination in Iceland. Just imagine: admiring the floating glaciers together with your loved one while drinking a cup of hot tea and watching the seals swimming among the ice. The natural beauty of this place is simply breathtaking! If you are lucky enough, this picture will be completed by the Northern Lights dancing in the sky, especially for you! If you have spare time, do not hesitate to explore the nearby Diamond Beach. This place is very popular for proposals because of its beauty. The ice pieces being washed away by the ocean, in contrast with the black sand offer a spectacular view. Who knows, maybe you’ll find your diamond there! Here’s a place that could easily top the list of romantic christmas getaways in USA. All Michiganders know that the very best place in the state to have a romantic winter outing is Frankenmuth. Frankenmuth is located in Saginaw County and is what most refer to “Little Bavaria.” Once you go you will realize why! The streets are lined with houses, restaurants, and even beer gardens to make you feel like you are right in the German Alps (without the tall mountains)! In the 1850’s this Michigan town became home to many German immigrants, and you can see that in what the town is now days. During Christmas time the streets are literally lined with the most fabulously decorated houses you have ever seen. It’s an area where kids go sledding and build snowmen and adults gather over mulled wine. What else makes this part of Michigan so fantastic? Well, it is home to the largest Christmas store in the world! Bet you didn’t know that about Michigan. Bronner’s Christmas Wonderland is where to go if you are a winter and Christmas lover. Even the long driveway to the store is covered in Christmas lights. Visiting Finnish Lapland was a dream come true for me. Initially we planned to visit Rovaniemi, but it was fully booked, so we opted for two alternative destinations – Kemi and Salla. Kemi is the main location in coastal Finnish Lapland and it is worth a visit for two reasons – the first is staying in Lumi Linna, the snow castle, built every year with frozen sea water. Guests can stay in ‘ice rooms’ and eat in the ‘ice restaurant’… it’s an amazing experience, but it is indeed cold! The second experience is a ride on the icebreaker Sampo, taking you to the middle of the frozen Baltic where you can also brave the experience of an ice-dip (with drysuits, of course). Salla is a small village, surrounded by forests and ski runs. It’s a truly quaint and romantic place – the snow makes it super silent, and there’s nothing more amazing than being huddled up in blankets in front of the fire, watching the snow fall outside. During our time in Salla we went on snowmobile rides, dogsledding and on reindeer sleighs. We even got our ‘reindeer driving licence’! I assume some of you may be wondering about the northern lights. Well, we didn’t see them. Not once, in two weeks. 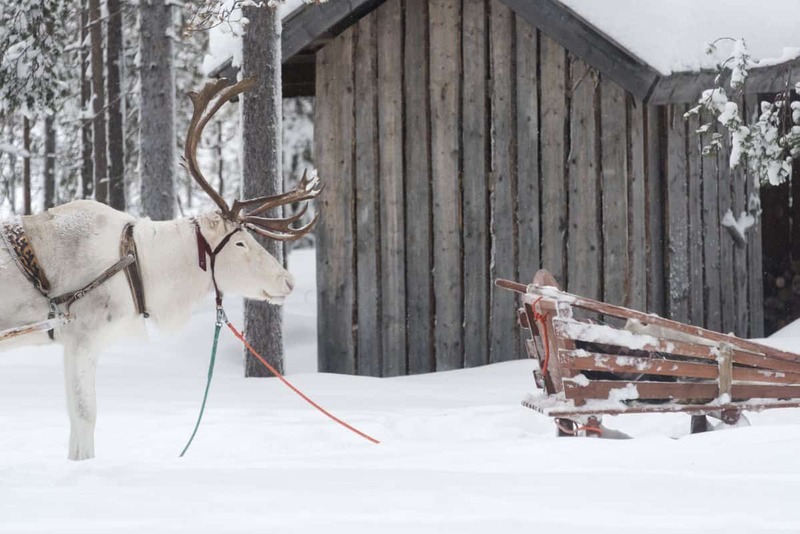 But Lapland is a lot more than just northern lights… just an excuse to go back! The first time I visited Lucerne was in winter. I arrived in Winter Wonderland with a friend and my sister and my first thought was…Wow, this place is perfect for bird lovers. Though I did not visit Lucerne with my partner I really pictured how to enjoy a romantic stay in Lucerne in winter. The illuminated and snowcapped Chapel Bridge, just makes everything romantic – walking the Chapel Bridge in the city center with a view of the Alps – which are also covered in snow, that is pure romance. 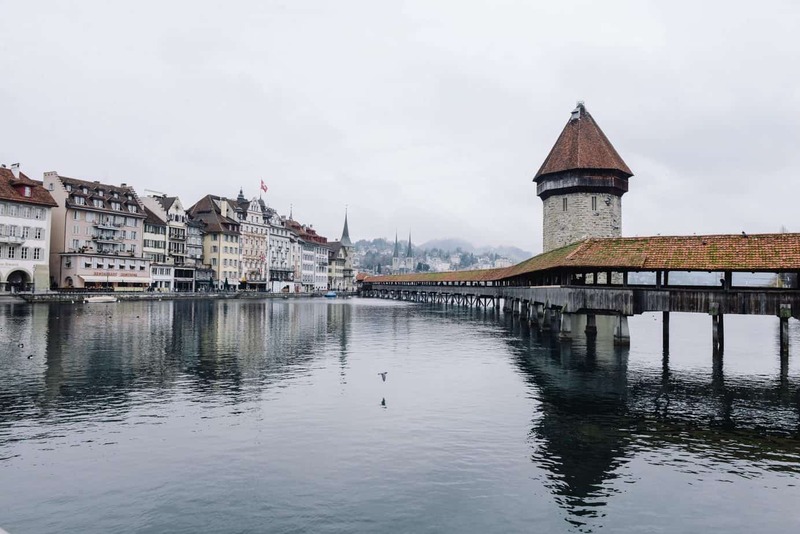 But Lucerne is not only about the Chapel Bridge – for more romantic feelings stroll along the gorgeous Lake Lucerne promenade or enjoy a dinner in one of the restaurants with views on Lake Lucerne. Getting lost in the old town of Lucerne adds more romance to it – though snow is never guaranteed, Lucerne makes a great place for a romantic getaway in winter – whether with or without snow! 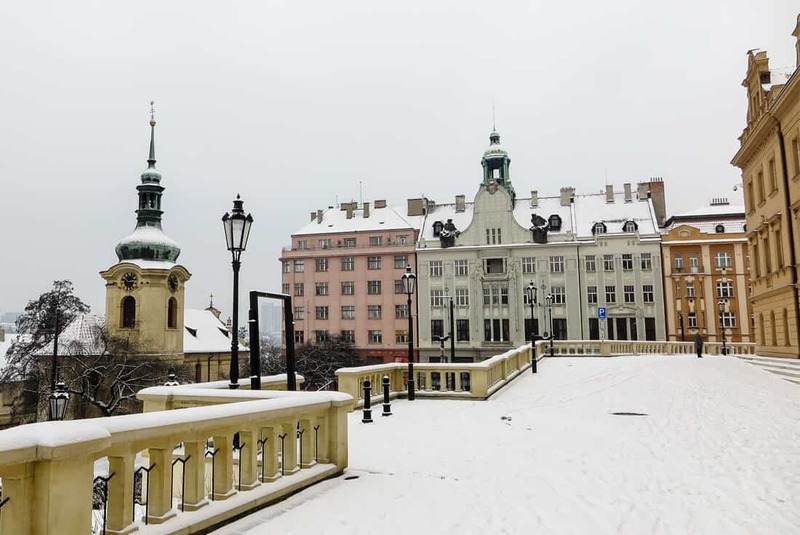 Prague in winter becomes magical, especially after a snowfall. Prague itself is stunning enough in any season, but imagine it covered with snow! It looks like sprinkled with sugar. There’s nothing like walking the streets of Old Town in the evening, fresh snow cracking under your feet and the warm light of lamps glowing and reflecting on the snow blanket. When you go to a Christmas market, preferably one of the smaller ones, hear the Christmas carols and see kids’ eyes wide open staring at the big Christmas tree, it warms your soul. Sharing a cup of mulled wine becomes more romantic than any drink on Earth. Nobody cares that the popular cinnamon roll, called Trdlo or Trdelník, is in reality not traditional Czech at all. With my husband we often go for winter walks after dinner, just to experience the empty streets and the omnipresent calmness that snowfall can bring. Leavenworth is a charming Bavarian village in the middle of the Cascade Mountains of Washington State. During the Winter months, the snow covered alpine mountains and trees and the blanket of white which covers the fairytale-like town creates a picture perfect winter wonderland. The fun and romance starts in December with Christmas. 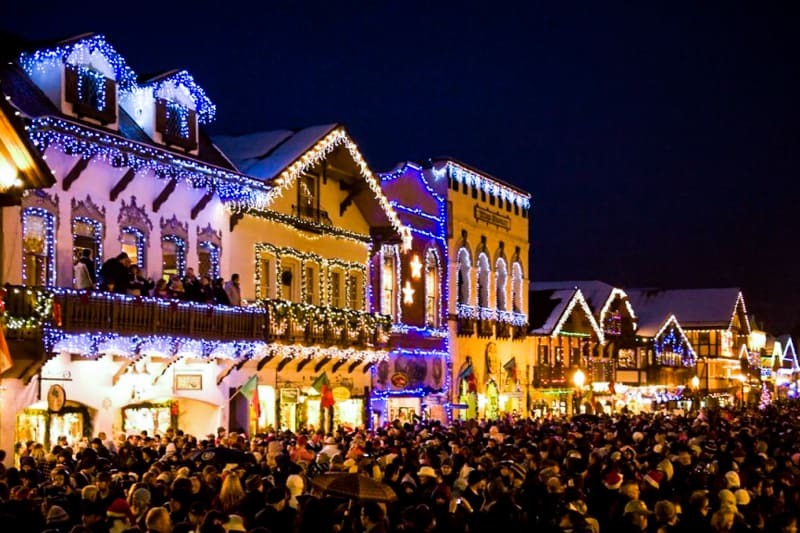 Every weekend in December Leavenworth celebrates with their famous Christmas Lighting Ceremony where thousands of people from all over come to see the whole village light up each evening. Carolers sing throughout the town as people sip on hot spiced wine and cider and fire pits line the streets. The magic doesn’t end with Christmas however. You can find many winter activities around Leavenworth including tubing, sleigh and dog sled rides, snowmobiling, alpine skiing and snowboarding, Nordic skiing and snowshoeing. This area is also known for it’s local wines and there are tasting rooms throughout the town to warm up over a delicious glass from a local vineyard. There is also a brewery and craft distillery as well as many unique restaurants to please even the biggest foodies. When you’re ready to retire for the night there are romantic inns and hotels to snuggle up in before the next days winter wonderland adventure. Romantic Bruges is a lovely old medieval town in Belgium that turns into a fairytale land in the winter! From charming cobblestone streets lined with step-houses to a lake filled with swans to stunning canals, adorable Bruges is sort of like if Amsterdam and Venice had a love child and it was Belgian and home to a lot of swans. It’s super cute. 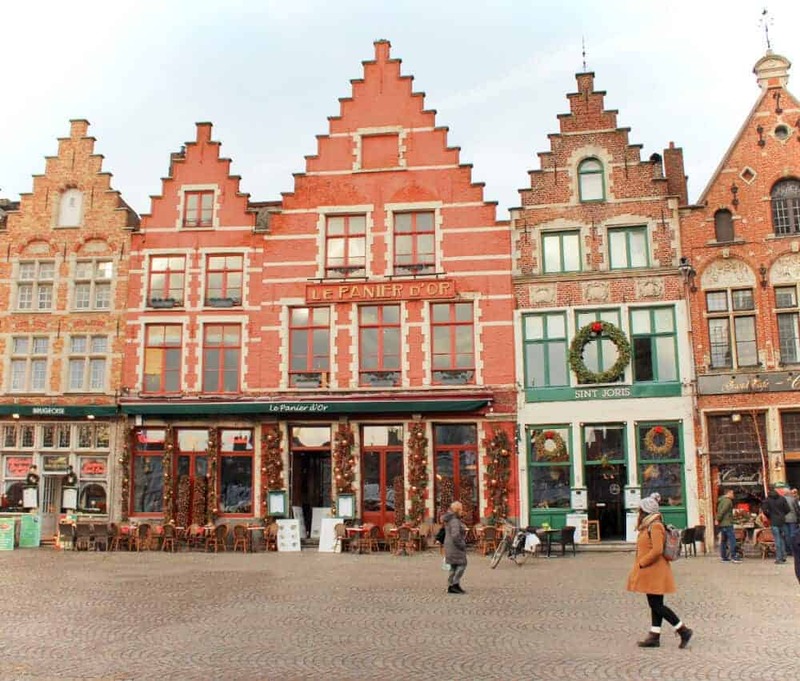 Bundle up and spend a few romantic days exploring Bruges with your sweetheart. You two can feed the swans at Lover’s Bridge, which crosses the Lake of Love (there’s nothing more romantic than that). Follow that with a horse-drawn carriage ride through Old Town. Then, boost your energy with a ridiculous amount of Belgian chocolate and a beer or two, and then top that off with some waffles. Wrap up your night by ice skating on the main square and shopping at the Christmas Markets, gluhwein in hand. Bruges is filled with romantic opportunities! When everyone else is thinking of winter and snow destinations, there are also some amazing and romantic tropical destinations that fill the romance ticket. Hawaii is just one of those special places that is both romantic, adventure focused and fits every desire to spend quality time with a loved one. 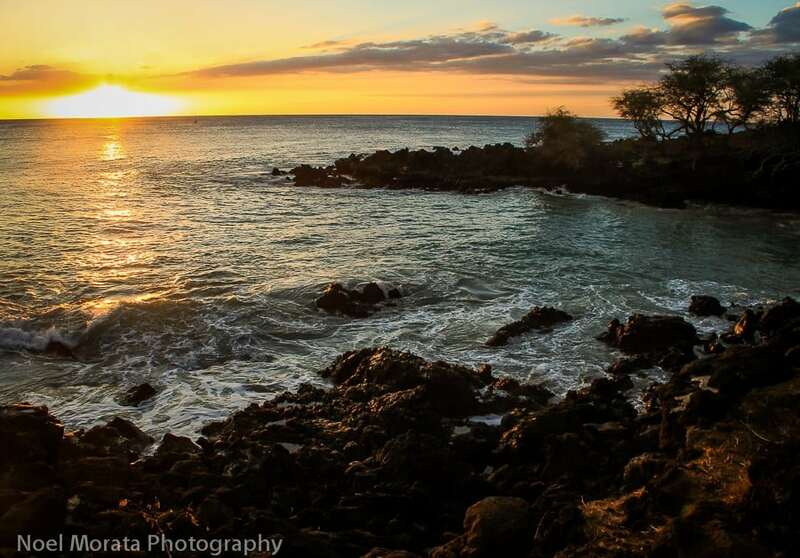 Whether its relaxing at a gorgeous beach, swimming in a hidden waterfall, or hiking to see live lava in Kilauea, or the perfect sunset and dinner – there’s so much to see and do in Hawaii. You can’t loose choosing Maui, Oahu, Kauai or the Big Island – the more popular and easier to get to islands. Winter time is very popular in Hawaii and fun, you’ll have plenty of activities and choices depending on your interests. So the main thing is to plan ahead, when you visit Hawaii in wintertime because everything gets booked up quickly. 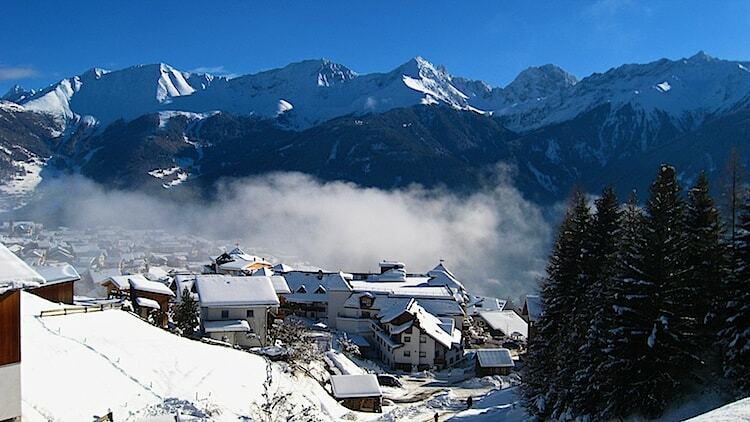 Fiss is a tranquil village in Tirol, Austria, popular both in summer and winter. During wintertime it’s a great place for skiing and snowboarding, since the slopes are joined with two other resorts; Serfaus and Ladis. Fiss itself is a picturesque and romantic place during the winter. There isn’t a whole lot of activity except for a few bars and some cosy restaurants. It is a perfect place to cuddle up next to the fireplace with a good glass of wine. When we were in Fiss, we stayed in a lovely ski in/ski out chalet on the slopes. Early in the mornings we would go and sit on a bench up the side of the piste to watch the sunrise and the town come slowly back to life again. In the evenings we had the use of a private sauna with a moonlit view of the surrounding mountains. A perfect getaway for romantic souls who love cuddling up after a day out in the snow. There is a tiny country in the middle of Europe, that many miss when they travel through Europe: Luxembourg. 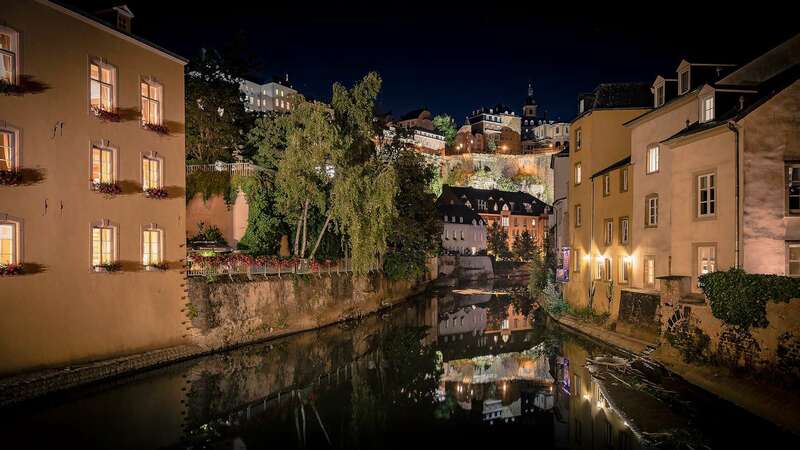 It doesn’t only hold several superlatives like being one of the richest countries in the world or the only Grand-Duchy, but it is also one of the most romantic places to visit in winter. During winter, temperatures might get really cold, but therefore you’ll be spoilt for choice with Christmas markets and snowcapped fairytale castles. Is there anything more romantic that you can do with your couple then wandering around in a winter wonderland setting? 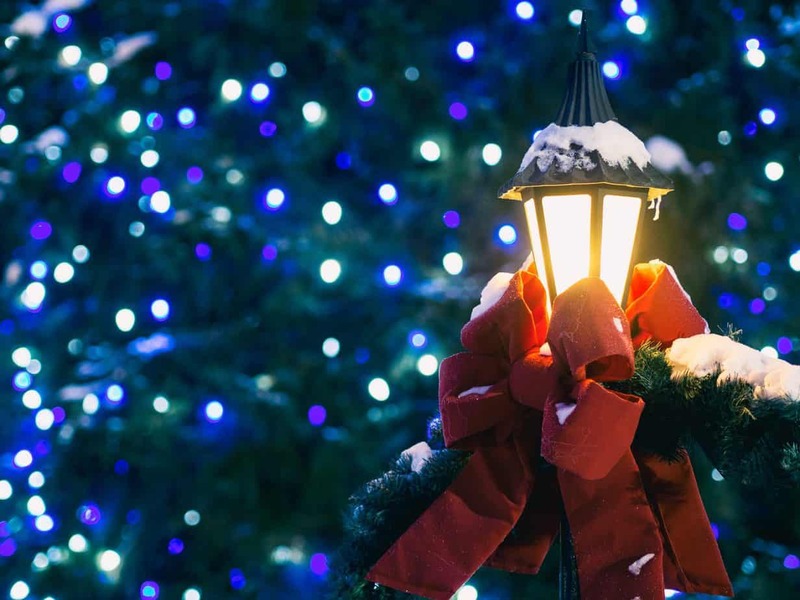 If you enjoy strolling with your beloved one through Christmas markets, then the Winterlights Festival in Luxembourg City is for you! It lasts 3 weeks and here you can treat yourself with traditional Luxembourgish delicacies such as Gromperekichelcher (spiced fried potato pastry), Eggnog (dairy alcoholic drink) or Glühwein. To burn all these calories, why not go for extensive hikes in the snowy landscapes of the Mullerthal region where you’ll be surrounded by medieval castles and enchanting rock creations. The most romantic winter destination I have visited was a cozy cabin in the northern Norwegian woods. I found it by chance while scrolling through AirBnb and, to be honest, I didn’t know what to expect. Upon arrival though, I realized I had stumbled across a romantic, hidden treasure. It’s not somewhere that you would visit for a lot of sightseeing because it is quite remote – we only did about two day trips during our stay. 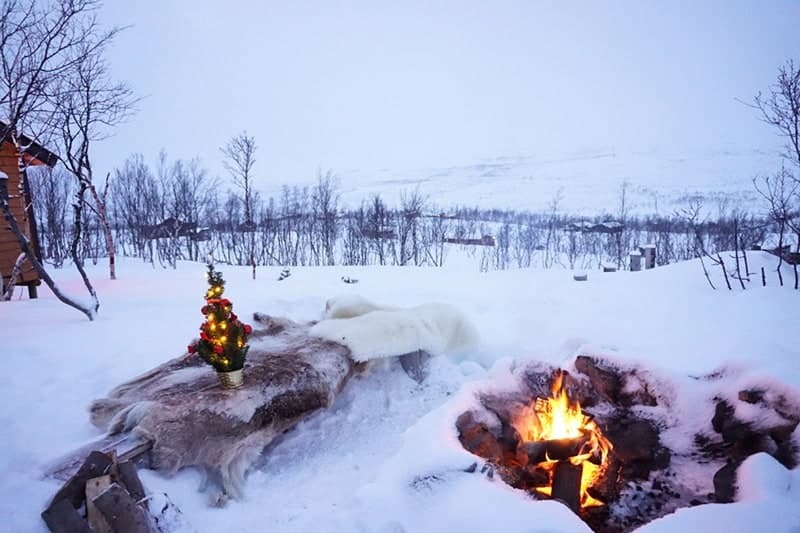 The rest of the time you can spend sitting on a Reindeer skin by the fire outside as you cook sausages and marshmallows, relaxing in the jacuzzi with a drink while watching the northern lights dance in the skies above and cozying up to watch a movie inside the cabin. I also enjoyed sledding down the hill with my husband and making our Christmas snowman! It’s a cozy winter treasure that is perfect for removing the distractions and slowing down to enjoy quality time together in a magical setting. 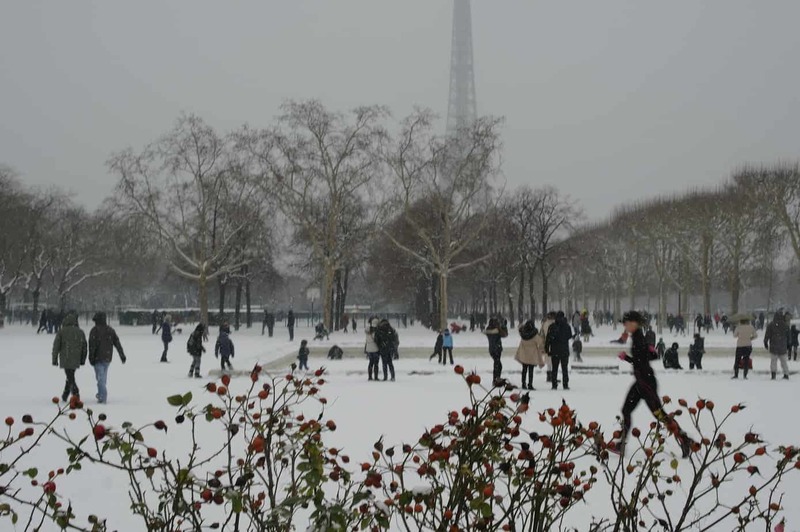 Anyone can love Paris in the springtime, as the cliche goes, but we think the city is at its most romantic in winter. Visit in January, as we did, and the City of Light might become the City of White with a dusting of snowfall. If not, holiday decorations will still glow bright. Wander into a cozy lobby with a crackling fire for an aperitif. Linger at your seat next to a steamy restaurant window for an espresso and a sweet. Steal a kiss under a lamp post’s golden glow, or discover the Eiffel Tower’s wraith-like apparition foggily framed by barren branches. Stroll along the Seine on the Quai d’Orsay. Disappear down the cobbled Cour du Bel Air off the trendy Faubourg Saint-Antoine, or into the Passage Moliere to escape the madness of Les Halles. Descend the snowy steps of Montmartre from Sacre Coeur at dusk. At day’s end, cocoon in a cozy and chic Parisian boutique hotel room and blissfully dream. Tujours l’amour! Niseko is a popular ski town on Japan’s northern Hokkaido Island, renowned for some of the world’s best and lightest powder snow. With an average of more than 15 metres every year courtesy of constant storm cycles from Siberia, Niseko is No. 2 snowiest resort in the world. For couples who are seeking romantic winter getaway, Niseko is a perfect destination where you could experience ancient traditions, world-class hospitality, top quality cuisine and terrific accommodation. The uniquely Japanese onsen (hot spring) tradition that dates back thousands of years, where some hotels offer private or in-room onsen for couples to enjoy after a great day on the ski slopes. Japanese Hot Springs water is believed to have natural healing powers derived from the mineral content. Imagine dipping in hot springs water in your birthday suit while the snows falling around just the two of you, the feeling is just surreal! Also, romantic dinners could be easily arranged depending on your liking as Niseko has a great selections of restaurant. From Michelin-starred restaurant, to traditional Japanese Izakaya (gastropub) or Japanese King Crab restaurants, you will be so spoilt with choices. What are you waiting for? 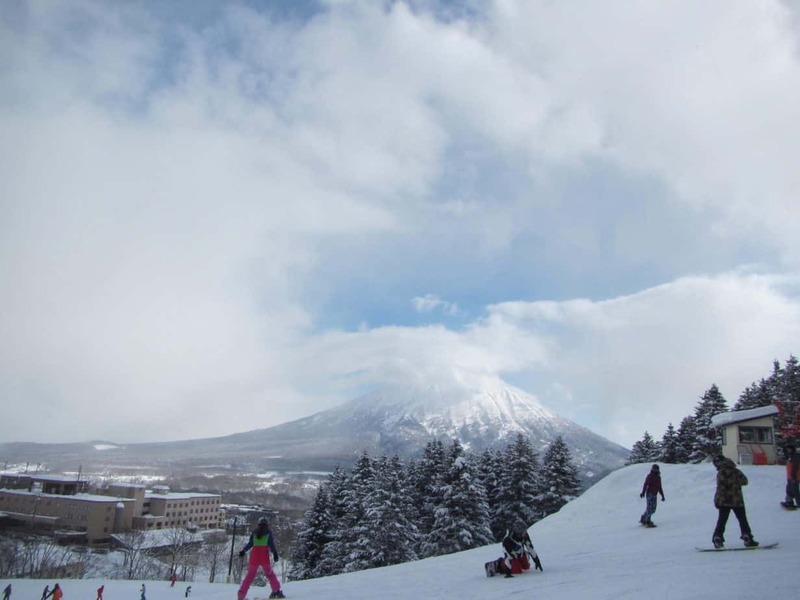 Just book an exotic yet romantic getaway to Niseko soon! Cologne is the perfect Christmas destination for those who love Christmas markets, gluhwein, or just walking around historic cities. We visited Cologne in December, just in time for its Christmas market, and there’s nothing like walking hand-in-hand through the Christmas markets while stopping off at the 6+ Christmas markets in the city to shop for loved ones. Nighttime is the most magical time as the markets become lit up with beautiful glowy lights, especially the Cathedral Christmas market directly under the Kolner Dom. For those less into Christmas related activities, Cologne’s historic center is filled with adorable colorful houses along narrow streets and outside of the Centre, you can find some alternative areas filled with locals and some amazing cafes. 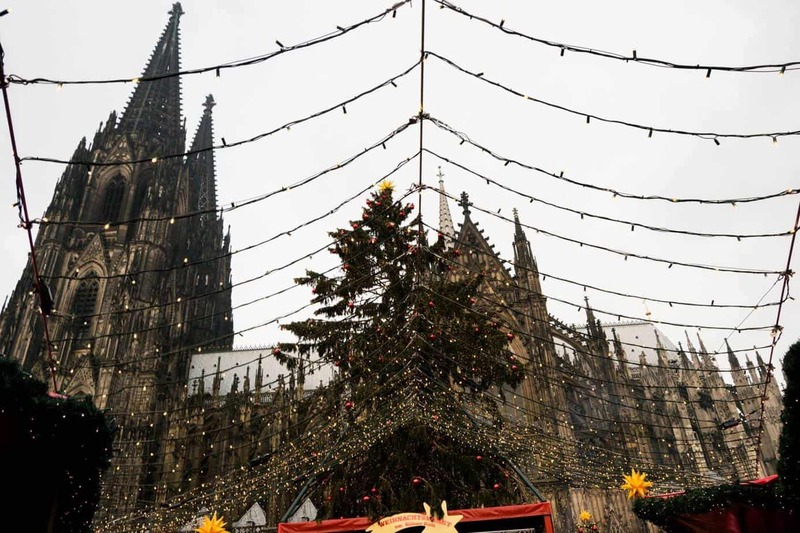 Simply, if you’ve dreamed of Christmas markets in Europe and a romantic trip filled with gluhwein, you need to visit Cologne in November or December! The steady, soothing orange glow of street lamps lead the path through the quiet village covered in a thin layer of freshly fallen, powdery snow sprinkled just so through the streets and across the slightly arched bridge leading straight to the shining castle upon the hill. 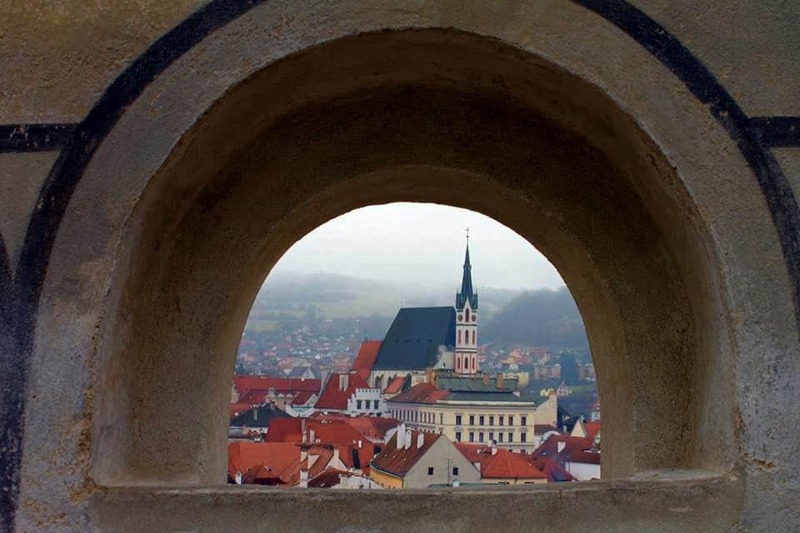 This is Cesky Krumlov, the fairytale village of The Czech Republic. There is hardly a more perfect place to keep cozy with your partner on a winters day. The pubs are plentiful, pour beer, and serve up hardy, warming meals. The river, winding through the majestic landscape provides a perfect backdrop for a sauna or a massage. The castle can be explored and the views from its walls and towers are even more spectacular than all you’ve had the pleasure of being a part of down below. The people are friendly, the streets are quiet, the tourists are kept to a minimum and the fireplaces are kept ablazing. There is not much to do but to simply be happy, be together and be here. What more could you ask for from your next romantic getaway? When it comes to romantic winter destinations, there is nowhere more perfect than the luxury village of Zermatt in the Swiss Alps. The scenery is enough to leave anyone swooning, but it gets even better than that! There are multiple five-star hotels and spas, each with their own horse-drawn carriage to pick you up at the train station. 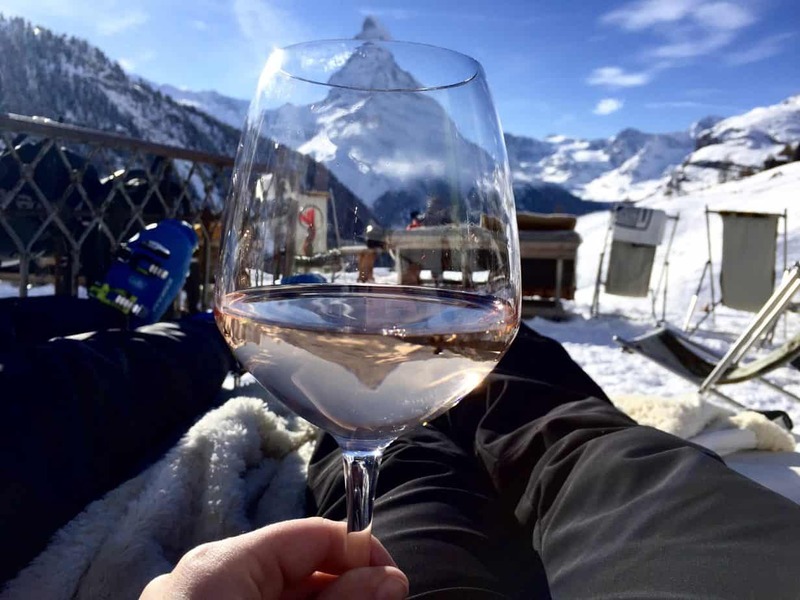 For those on more of a budget, just staying in (or around) snowy Zermatt is romantic. Après-ski bars offer fur-lined seats, snuggly blankets, and open fires alongside your warm rum punch or mulled wine. It’s the perfect opportunity to snuggle up with your loved one after a long day of skiing or walking (or shopping!). The narrow streets are perfect for a stroll around the village before dinner, and the entire village is pedestrianized so you can be spontaneous together and wander any which way you choose. The boutiques range from those offering local goods to designer shops selling the best ski brands and (of course) Swiss watches. And there’s nothing more romantic than sharing a pot of fondue and a bottle of wine before sneaking down to the cozy Little Bar for a nightcap! There’s got to be something special about a city where the entire city centre is green. Ljubljana is just like that. 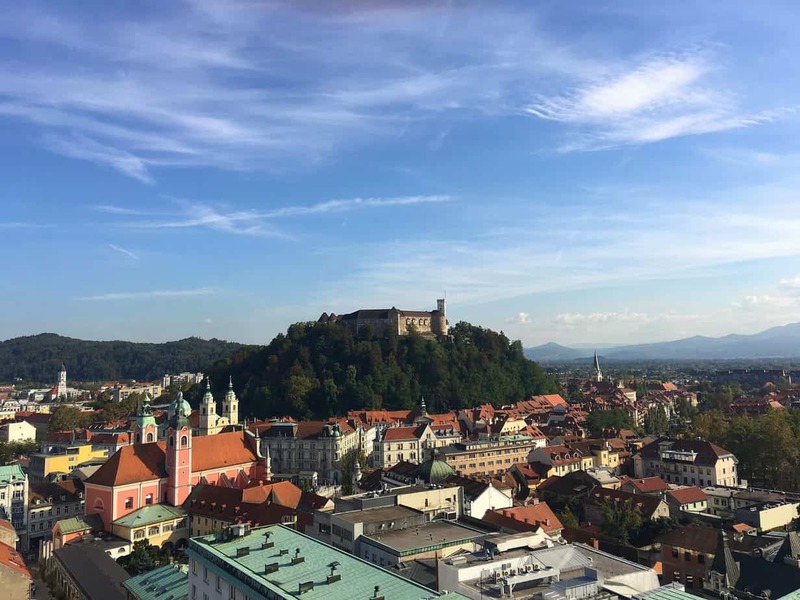 One of the smallest capitals in Europe, Ljubljana looks like it has just come out of a fairytale, with its beautiful cobbled streets and narrow alleys. The old city of Ljubljana is completely closed to cars and traffic (not to mention, it is spotless clean! ), which means plenty of space for couples to walk around holding hands. The riverside is packed with small bars and coffee shops where it is just so cozy to have a hot chocolate or a glass of wine. There are lovely restaurants (and the food is just so good). Besides, there is a beautiful park; a castle; and a skyscraper with gorgeous views of the city. It is just perfect for a romantic getaway. What do you think is the most romantic winter destination? Let us know in the comments! Thanks so much for having me Amy!! Was so fun to share a place that many people don’t immediately think of when they think of romance, but it is really charming and romantic in its own right!! 🙂 Some great places on this list!